Nutrition is a relatively young science with new research constantly emerging. The recent headline about coffee and cancer is a good example of this. Twenty-five years ago, the World Health Organization (WHO) had identified coffee as a possible carcinogen linked to bladder cancer. On June 15, 2016, the WHO updated their advice. The WHO’s International Agency for Research on Cancer, which is an international working group of 23 scientists, reviewed 1000 scientific studies, and found that drinking coffee and maté (a tea made from the dried leaves of the yerba mate plant) is not linked to cancer. In fact, coffee may be protective against cancers of he liver and uterine endometrium. The new findings however do see a connection between high-temperature beverages and their potential link to cancer. According to the WHO, drinking beverages (even water) that are very hot – which is defined as anything above 65°C (149°F) – is linked to a higher risk of cancer of the esophagus. It’s thought that the hot temperature scalds the delicate tissue in the esophagus. This damage may then trigger a faster turnover of the cells which in some cases can lead to out of control malignant growth. Esophageal cancer is the eighth most common cancer worldwide with the highest incidence in Asia, South America, and East Africa where drinking very hot beverages is common. Maté is traditionally consumed at very hot temperatures (70°C). Certain countries such as China and Iran also tend to drink their teas prepared at very high temperatures, above 65°C or 70°C. –	Allow your hot drink to cool down a bit before taking that first sip. –	Add some milk or cream to lower the temperature of your hot drink. –	Brew your own tea using hot but not scalding hot water. 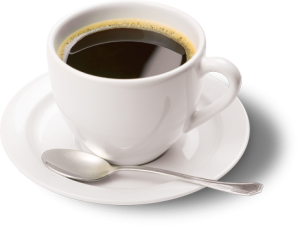 –	Stick to four cups of coffee or less (4 x 8 ounces or 4 x 250 mL) – any more will put you over your daily caffeine limit. Whether you’ve been diagnosed with cancer, are a cancer survivor, or are a caregiver to someone with cancer, this new book is a must-have resource. Author and fellow dietitian Jean LaMantia shares easy-to-read information about cancer basics and conventional cancer therapies. Her glossary of cancer terms, guide to preparing for cancer therapy, and tips for managing the side effects of cancer treatments are all welcome knowledge for anyone who may be feeling overwhelmed with the fear, pain and worry of cancer. LaMantia knows what she’s talking about. She herself is a cancer survivor and was a key member of the support team for her father’s journey with cancer. Specializing in cancer care, LaMantia is also a program leader for Wellspring, a national cancer support agency. The book has been very well researched and includes a detailed reference section. Oncologist Dr. Neil Berinstein assisted in interpreting the latest evidence-based information about cancer and nutrition. Understanding how cancer can impact appetite and nutritional needs, LaMantia offers sample menus for dealing with common side effects. To make meal planning easier, all of the 150 recipes are identified as suitable for dealing with various side effects such as constipation, dehydration, sore mouth, low appetite, taste aversions and taste alterations. High fibre, high protein and risk reduction recipes are also noted. The array of FAQs and survivor wisdom quotes throughout the book add extra insight and helpful advice. LaMantia’s hope is that her book will make your cancer journey a little easier. With her personal insights, detailed information and sound professional advice, I believe it will.